As a working person, you won't admit to needing softness in your footwear, but you certainly do. These Reebok Women's RB253 Grey Steel Toe Slip-Resistant ZPRINT Athletic Work Shoes won't let your feet down like other work shoes do. They're intelligently designed wi ... (see full details) (see specifications) #RB253. As a working person, you won't admit to needing softness in your footwear, but you certainly do. These Reebok Women's RB253 Grey Steel Toe Slip-Resistant ZPRINT Athletic Work Shoes won't let your feet down like other work shoes do. They're intelligently designed with 2018 comfort technologies to give you the best possible wearing experience and overall feel. Plus, they're made for rigorous work environments; they can protect you and your feet in moments where workplace hazards get the better of you. Rubber nodes on the outsoles are in place for flexibility, and they can also keep you safe. These women's steel toe shoes are slip-resistant, and the strategically-placed rubber nodes on the sole make that possible. In fact, the nodes are so successful that these athletic grey shoes receive the Mark II Low Contaminant SR rating. The outsoles are also electrical hazard protective, which means you'll be guarded around some open circuits. When paired with steel toe caps, this women's footwear meets the requirements for the American safety standard ASTM F2413 I/75 C/75 EH. The steel toe caps can prevent harm to your feet when it comes to drop impact (I/75) and compression (C/75). Foot mapped 3D foam midsoles and a dense outer rim compound offer resilient cushioning, and there are deep flex grooves that add flexibility to the midsoles of these Reebok shoes. Overall, it gives your feet a natural feel to increase your satisfaction and performance. The dense outer rim compound included in the design of these women's athletic work shoes provides solid support to promote longer wears with reduced strain and abrasion resistance for increased durability. These women's slip-resistant safety toe shoes are also made with strategically-sized rubber nodes on the soles for enhanced flexibility. These women's grey ZPRINT shoes have new technologies, such as MemoryTech and MemoryTech Massage technology. They work together to adapt to the natural contours of your feet for immediate cushioning and a one-of-a-kind feel. The truTech Energy Absorption and truTech+ Energy Rebound technologies also work together to provide you with footbeds that can reduce soreness and enhance the length of time in which your feet can comfortably remain active. When it comes to relief for active, working feet, you won’t find a better pair of women's safety toe shoes than these Reebok Women's RB253 Grey Steel Toe Slip-Resistant ZPRINT Athletic Work Shoes. Plus, they can protect your hard-working feet and let you focus on the job tasks at hand instead of your well-being. Get this Reebok footwear here at Working Person’s Store today, and you’ll be getting yourself a supportive, cushioning, and energizing pair of EH work shoes made with the latest in comfort technology. 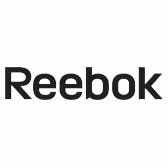 Reebok Shoes: Women's RB253 Grey Steel Toe Slip-Resistant ZPRINT Athletic Work Shoes is being added to your cart.